We have made it with 4 wires which is specially designed for ramps1.4, so you just need to plug it in, and there you go! No need to buy from others and waste a lot of time trying to figure out how to connect them. We have make it for you! 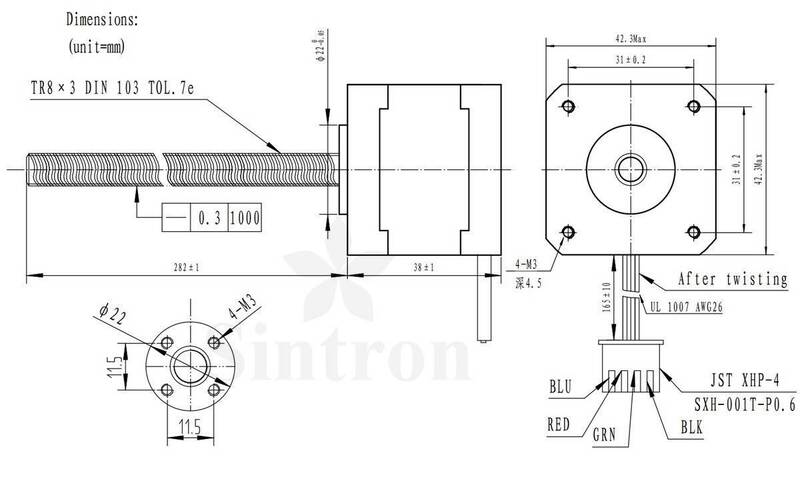 We not just sell them, we also provide good after-sales service, so welcome to discuss with us, we will try to do technical support as much as we can. 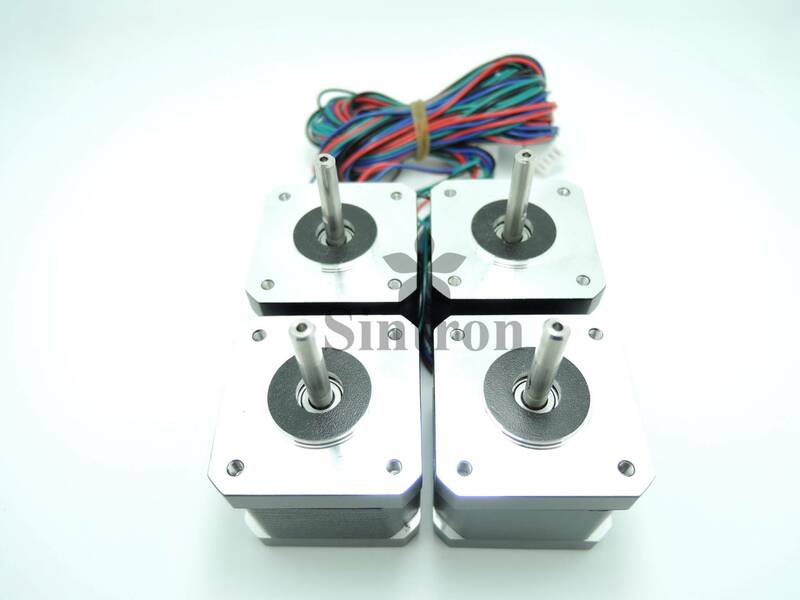 (1)This steppers have been designed to use with the Prusa Mendel printer build and other RepRap 3D printer builds. 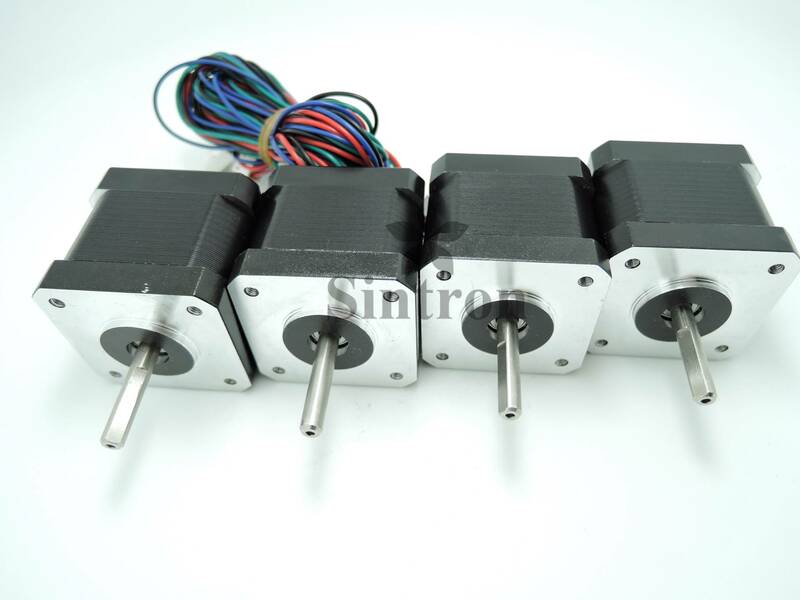 (2)Five motors are needed for a Prusa Mendel: one for X axis, one for Y axis, two for Z axis and one for the extruder. 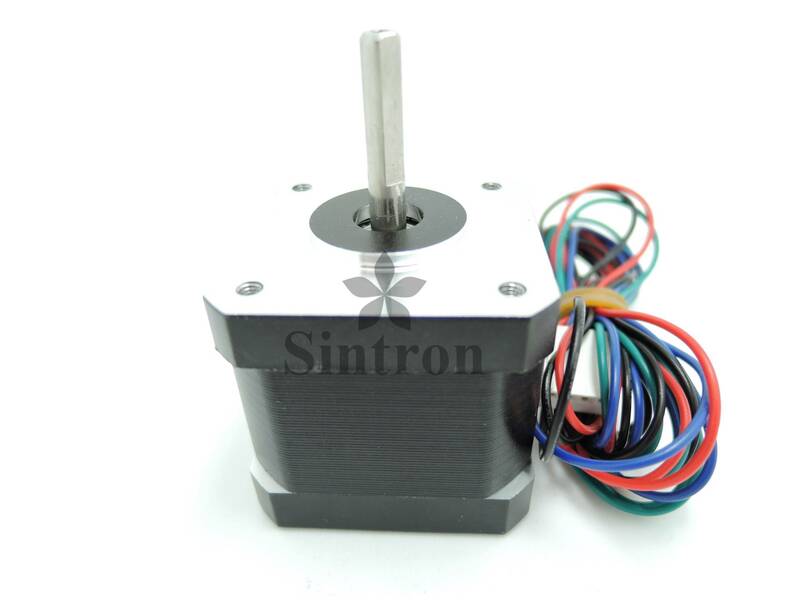 (3)A smaller bipolar (4-wire) NEMA17 stepper motor with 200 steps per revolution (1.8 degrees per step). This is not the most powerful NEMA17 motor, but it's a little smaller, with a respectable holding torque of 2600 g·cm. It has a current rating of 1.2 A, which is ideally suited for small drivers such as A4988, as found on Pololu and StepStick driver modules. (1) High stability, low heat-radiation and high precision. 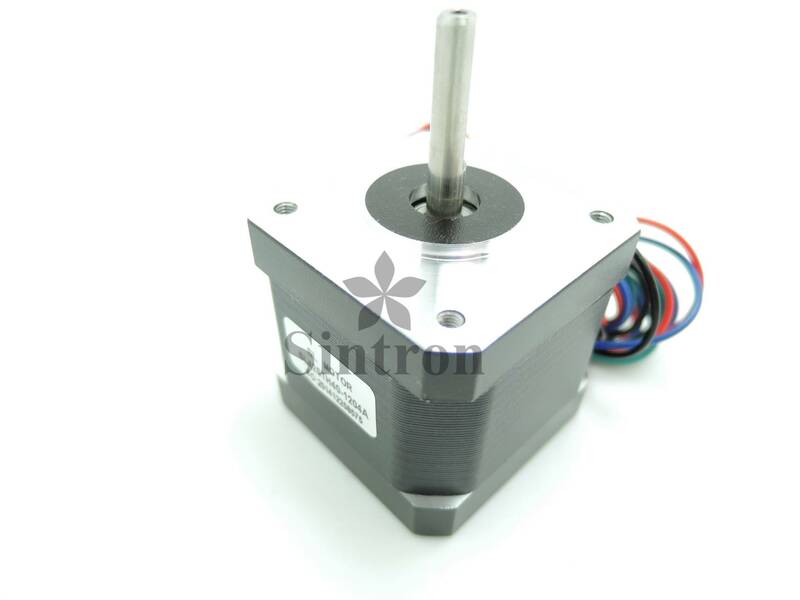 (2)This Stepping Motor features four wires, high torque-to-inertia for faster start and stop. (3)It can be applied in automation equipments of various fields, like electronics, mechanical, medical, and textile etc.